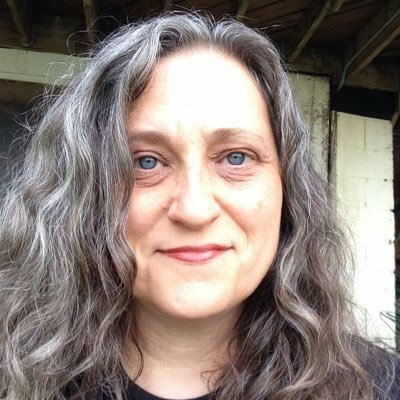 Sherrie Flick is the author of the flash fiction chapbook I Call This Flirting (Flume), the novel Reconsidering Happiness (Bison Books), a semi-finalist for the VCU Cabell First Novelist Award, and the short (short) story collection Whiskey, Etc. (Queen’s Ferry Press, 2016). Her fiction appears in many anthologies including Norton’s Flash Fiction Forward and New Sudden Fiction. Her stories have appeared in journals such as North American Review, Ploughshares, Quarterly West, Northwest Review, Prairie Schooner, Puerto del Sol, and Booth. She has received grants and fellowships from Sewanee Writers’ Conference, Ucross Foundation, Atlantic Center for the Arts, PA Council on the Arts, and PA Partners in the Arts. She lives in Pittsburgh.Your new book from Queen’s Ferry Press, Whiskey, Etc., is a collection of short-short stories and flash fictions. Jared Lemus: What appeals to you about flash-fiction as a narrative form? Sherrie Flick: I’ve spent my whole career writing flash fiction so it has appealed to me for a long time. I enjoy the idea of compression and experimentation in form. JL: What was the inspiration behind the title of the book and of the sections—Songs, Pets, Coffee-Tea, Dessert, Art, Cars and Canoes, Soap, and Whiskey? What should the reader know about their order and organization? SF: The title came pretty quickly after I decided upon sections. In some ways it sums up the book and then in other ways it makes a commentary, I guess, on a larger lived life. I knew I wanted to break the book into sections because there were so many stories to wrangle. Ideally, the sections create order within order with order and they also speak to each other across the sections. They arose from common objects, themes, and ideas that I found when reviewing my stories. Some sections weren’t quite long enough so then I wrote stories toward that idea/thing to fill them in. JL: One of the sections in your book is entitled “Art,” and all of the stories in that section are based on paintings of abstract expressionism, cubism, and taking place after the Great Depression while hinting at the industrial revolution. What made you decide to use those particular paintings? Do you see any connection between these stories and ekphrastic poetry? SF: I’m using the same basic idea of ekphrastic poetry except—it’s ekphrastic flash fiction, yes. These stories came about mainly through a series of writing workshops I conducted at the Carnegie Museum of Art in Pittsburgh over the past six years. In these workshops we used the exhibition at hand and the permanent collection for inspiration. I wrote along with my students and some stories I liked came from the experience. I was also specifically asked to write some flash fiction for an exhibition at the Frick Art & Historical Center and some of those stories along with workshop stories make up this section. JL: In poetry, the speaker of the poem and the poet are often thought of as the same figure. As flash fictions are often seen as having one foot in the poetical, I’m wondering to what degree your flash fictions come from life? SF: Although the voices in the stories are intimate and personal, they aren’t me. None of the stories are directly from my life. JL: Your characters in stories like “Get Up” and “Relationship” have this way of escaping both mentally and physically from whatever situation they find themselves in by any means necessary. Often they simply get in their cars and drive away from their problems. What’s is it about this particular mode of escape that keeps you coming back to it? SF: When I was in grad school in the mid-90s my friends and I talked a lot about a certain kind of feminism connected to the power of the car. The idea of getting in and driving away was an appealing analogy to us. We studied Gertrude Stein and Edith Wharton, two women who were greatly empowered by their ability to drive. We read and reread the anthology Drive, They Said: Poems About Americans and Their Cars, published by Milkweed in 1994. It’s something I, too, personally love. I spent many years prior to grad school getting in my car and taking ambiguous road trips. By myself, with friends and lovers. I didn’t care. I spent about 5 years wandering. I call those years the Feral Years. [Hahahaha.] It was great. I learned a lot about this country, my resourcefulness, and also about what it meant to leave. So, these ideas worked their way into my stories and are definitely a feature in my novel, Reconsidering Happiness. JL: A lot of your stories start out with punches to the gut, such as, “I seduced the paperboy yesterday” or “If he was a pet, we’d put him to sleep.” Can you explain what this sort of thing does for the reader and how it works? SF: First sentences are so important. They set the tone for the story to come. They lure you in as reader. Voice is established, scope, characterization, setting. It can all be there in that first powerful punch. JL: In “Family Dinner” you chose a different style for telling the story. There are small phrases like “the story”, “the ending”, and “dénouement” that remind the reader that they are in fact reading a story. What made you decide to do that? What effect do you think it has on the reader? SF: Not sure what exactly made me do that. The character in that story wanted to break the third wall between story and reader and so I let her. I think acknowledging the story itself kind of adds to her tone of high frustration. JL: Some of my favorite stores were “Screen Door,” “All Night Long,” “Board Game,” and “What Was Said.” Primarily because of the beautiful lyricism of the writing. Do you have a favorite? One you would tell someone to read if they were only going to read one of your stories? SF: Right now my favorite is the first story in the book, “Sweet Thang.” I really like reading it aloud and I just came off a book tour on the west coast where I read that story many nights in a row and didn’t get sick of it. I like it also because it examines a 20-year marriage in about 750 words. I think it uses more complex and complicated craft elements—so in some ways it showcases what I can do in flash. JL: What advice can you give to people interested in writing short (short) stories? SF: Oh, I have way too much advice to give, for sure. Sometimes I really have to rein myself in during workshop. I guess the main thing is: pay attention to your sentence-level writing. You really have to refine it in order to have control over the kind of compression that’s needed in flash. Don’t worry about form (when drafting). Don’t worry about plot (when drafting). JL: Maybe it’s too early to say, but what’s next for Sherrie Flick? Will continue to write more flash or return to a longer form? SF: I have another short story manuscript that I’ve finished up that is also a mix of longer and flash stories. I’m looking for a good home for it right now. What I’d like to turn to next is a novel manuscript I’ve been working on for some time. It’s half drafted and a bit stuck right now. Unsticking is going to take some brutal concentration so I need to carve out a series of weeks where I can drive it through to the end so I can start to fiddle with it for years to come. I’ve also become interested in the idea of a novel in flash chapters. It seems like a perfect fit for me, and I’m not sure why I haven’t considered it before–so maybe that’s the solution for fixing the broken novel. Maybe I need to think about change via form. Jared Lemus currently studies writing and psychology at the University of Arkansas at Little Rock. His work has appeared in the University of Pittsburgh’s literary magazine Hot Metal Bridge and on Chanillo.com, where he was named the winner of the 2016 Best Short Story contest. He is managing editor of the Equinox literary magazine and is president of the English honors society Sigma Tau Delta.